I really need to work on my posture. A camera man at an event this weekend even told me that. Yikes. Sitting up straight is just so hard, and slumping over is just so easy. Yup, we picked a venue and a date!! Bet you never thought we'd get there! My mom is coming to town next weekend and we are going wedding dress shopping. My budget is low, very low. Like, $1,000 low. Needless to say, I will not be getting a Panini Torini or whatever the name of the gown is on Say Yes to the Dress. Yes, I realize I've butchered that name, so sue me. If she wants to give me a dress for free, I'll gladly work harder at looking up the proper spelling. Until then, I'll continue to think of a hot pressed tomato and gouda cheese sandwich with a side of hot soup. ANYWAY, where was I? Oh yeah, wedding dresses. I booked a couple of appointments at some bridal salons around Dallas for next weekend, but I'm pretty sure the selection at my $1,000 price point will be minimal. I would imagine I'll have to come up a few hundred to find anything. I have a collaboration (all of you brides are going to die, this is such an awesome company) with The White Box coming up. They sent me a link to a dress that is ONLINE that I straight up fell in love with. Not only did I fall in love, it is also WELL within my $1,000 budget. I mean, well within. It's beautiful, has detailed beading and embroidery and is exactly the dress I had been envisioning. Did I mention it was well within my price point? 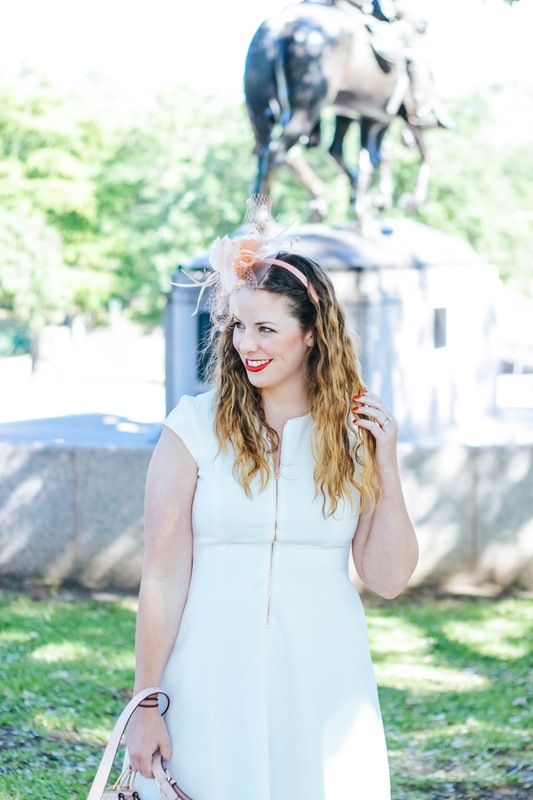 It's a BHLDN dress, but there is no BHLDN location in Dallas. What does one do here? Do I pull the trigger on a wedding dress --- ONLINE? There are free returns and I could easily exchange it for another size if I pick the wrong one, but I think my hesitation comes down to missing out on the fun part of going wedding dress shopping. In a world of Say Yes to the Dress back to back to back to back to back to back to back episodes, it feels so lame to say YES! to the dress on a weekday morning at 10am while I sip coffee that has gone cold. Adding a wedding dress to a "cart" also seems weird. Then again, who cares? I've never been the kind to put on a show for appearance sake. I make no qualms about buying pretty much everything at TJ Maxx, so what do I care if I buy a dress at a bridal shop or not? I can return it, there really is no downside to taking a chance on it. It just seems so -- un-special is all. The dress will arrive after my mom has already left Dallas. I'll probably end up trying it on by myself in the bedroom on a Monday night after a long day of work. I won't have any in-person support. There won't be a pedestal to stand on and show off the lines of the gown, there won't be a consultant to add that *special finishing touch* that brings everyone to tears. I sound like a self-absorbed bride right now. Ugh, I'm just so conflicted. I'm also nervous that I'm going to go to a bridal salon and fall in love with a dress that is out of my price range. I'll fall in love with it though because I will have the pedestal, the oohhhs and ahhs and the consultant who puts the *special finishing touch* on the look and brings everyone to tears. WHY ARE WEDDINGS SO HARD?! What would you guys do?! ?